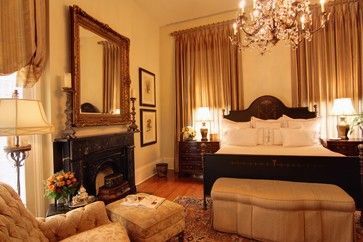 This room is so elegant and welcoming. The neutral colors just seem to wrap you in warmth. 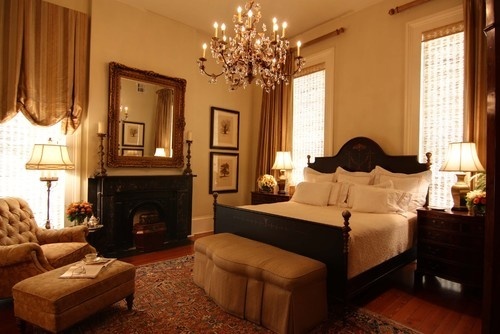 These rooms are from a home on Magazine Street in New Orleans and were designed by Nelson Wilson Interiors. You can see the faux fireplace better in this picture. I want to put one in the master bedroom before winter gets here and this is a perfect example of what I would like to have. 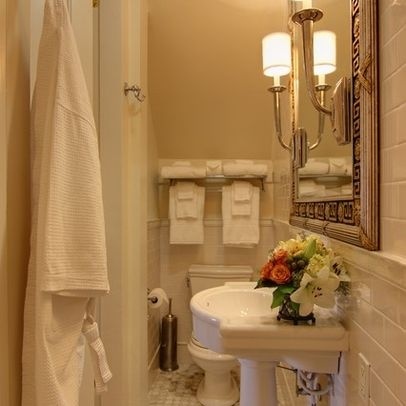 The French doors lead to a bathroom that was originally a closet. I love the tile work in here. 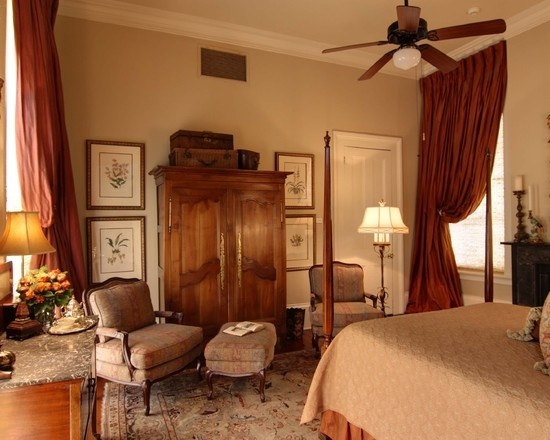 In another guestroom, the armoire is balanced on each side with botanical prints. 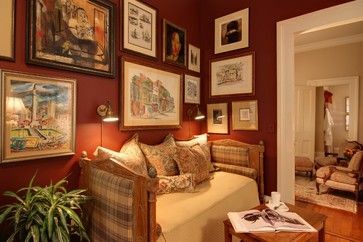 What’s a guest suite without it’s own study? I do love the artwork collection on the wall. I have attempted to do this several times in different areas of my home but it never looks right on my walls! 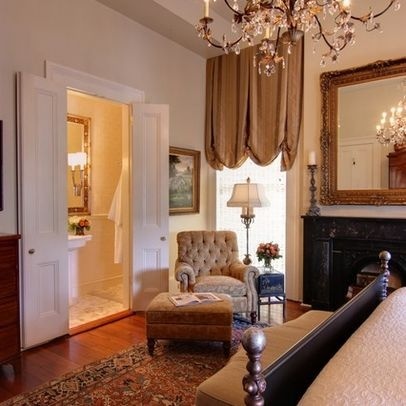 All pictures are from Houzz.com. To see more of this house, click here. Gorgeous! Love the feel of it being 'old' but I know it's filled with new stuff for sure!